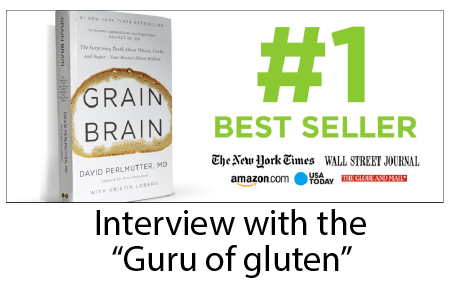 I just published this YouTube video of an interview I did with renowned expert in gluten sensitivity and Parkinsons, neurologist and former Hay House author, Dr. David Perlmutter. 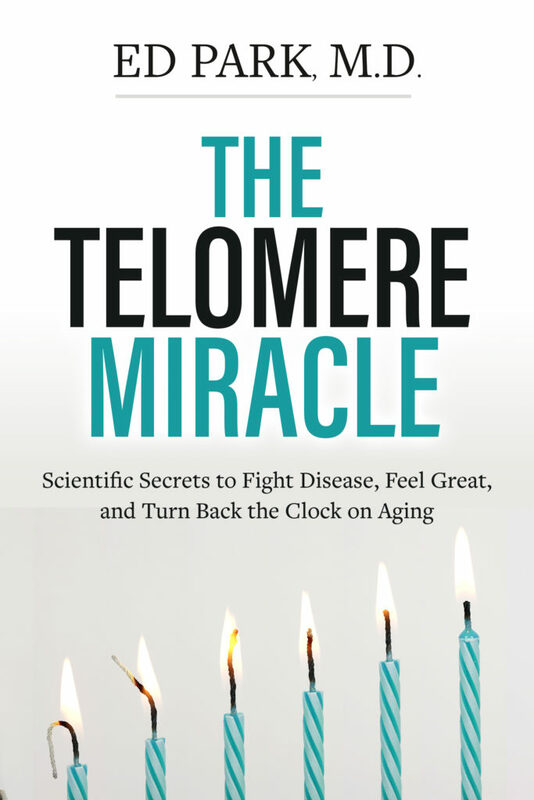 Since a few people asked, here is a little more info about a new book that I have completed called The Telomere Miracle, that is slated for release early 2018 by Hay House Publishing. Although it was written months ago, the publisher wished to have it delayed until January, 2018 for greater impact. It basically is like an Our Bodies, Ourselves for being human. Using my unified telomere/stem cell theory of aging, we find that the things that keep us healthy are associated with better telomere maintenance and that when we degrade into illness, the telomeres show associated problems. I explain, at an 8th grade level, how the six systems of living that are most impactful function, show ties to telomere length, and can be optimized. Those areas are breathing, consciousness, sleep, diet, exercise, and supplements. If you have read my blogs or watched my videos, you know that I have a very open mind and yet can be quite iconoclastic in my thinking. So instead of regurgitating the group think or standard dogma, I wanted to write a book that explained the basics of how what seem like complicated systems (such as consciousness or digestion) work. I believe I succeeded in arming the reader with true knowledge which they can then use to guide their daily choices. The good news is that we are all endowed with systems to repair and maintain our health and that we just need a little more knowledge and practice to optimize health while we await breakthrough technologies of stem cell storage and replenishment. As of Monday, April 24th, Hay House Summit Pre-Launch event has started. May 6th is when the summit begins and it will be divided into four sessions, each with 25 audios and several videos as well. I will be featured in the first series running May 6th-May 8th. all listening and viewing is absolutely free!! If you don’t have time to listen to all that you want during the free period, you can own the summit. Order before May 16th, you will receive $50 off your package (physical or digital) of all 100 Audios, 15 videos, and other membership opportunities which offer a more personal level of participation. After May 16th the, regular price for the Ultimate CD library will be $397 and the price for Digital Downloads will be $197. Heads up: Act soon and you’ll even get last year’s 2016 Hay House Summit on CD (only 41 remaining as of today, April 27th). 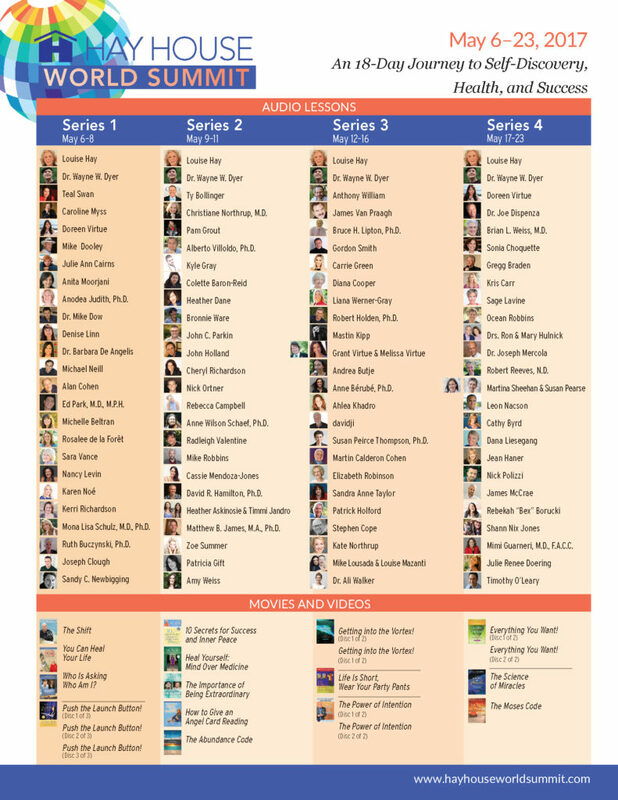 So, you get to own and benefit from 115 audios and videos of this year’s summit for only $147.